Emory Eye Center Director of Research, P. Michael Iuvone, the Sylvia Montag Ferst and Frank W. Ferst Professor of Ophthalmology, has published a new book, The Retina and Circadian Rhythms (Springer, 2014), along with fellow editors Gianluca Tosini (Morehouse College of Medicine), Douglas G. McMahon (Vanderbilt University), and Shaun P. Collin (University of Western Australia). The book provides a comprehensive review of the retinal circadian rhythms and their roles in photoreception and visual function. Its aim is to further the study of retinal neurobiology by post-docs and upper level undergraduate or graduate students and to provide a resource for clinicians about how daily changes in retinal function may influence treatment outcomes. The retina, the thin neural tissue of the in the back of the eye, detects light, informs the brain of its visual environment, and synchronizes with the brain's central clock, thereby playing an important role in the body's circadian system. Because of the wide variance in luminance over 24 hours, the retina faces a challenge in its role of sensing that light variance. Circadian rhythms contribute to the large dynamic range of light detection by retina, allowing us to see in bright light and starlight conditions. The text summarizes knowledge collected over three decades in the understanding of the retinal circadian clock throughout many animal species. 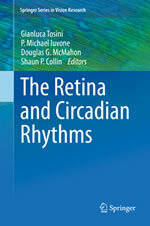 The Retina and Circadian Rhythms, published by Springer. "Modern society exposes us to light at night, which disrupts our bodies' circadian rhythms and may predispose us to blinding retinal disorders" says Iuvone. "This book covers topics regarding the regulation of ocular circadian rhythms, which regulate high-resolution vision and protection from environmental or endogenous stressors that may contribute blinding diseases such as age-related macular degeneration and diabetic retinopathy. We were fortunate to get leaders in the field of retinal neurobiology to provide up-to-date reviews of this important topic. This book will provide a lasting contribution as a scientific and educational resource." 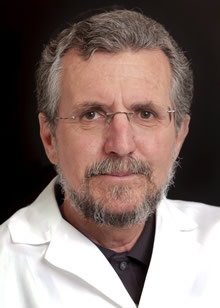 Iuvone has served as director of research at the Emory Eye Center since 2009. Originally from New York, he came to Emory in 1978, serving in the pharmacology department, and was promoted to full professor in 1990. He has held a joint appointment in ophthalmology from 1980. He earned his undergraduate and doctoral degrees at the University of Florida and did post-doctoral studies at the National Institute of Health. Iuvone is a leader in numerous research organizations, such as the Association for Research in Vision and Ophthalmology (ARVO) and the International Society of Eye Research. He currently serves as principal investigator on a NIH grant that deals with retinal function, which provides basic science information relevant to eye diseases such as age-related macular degeneration and diabetic retinopathy. He is a co-investigator on several other NIH grants dealing with myopia, ocular melanoma, and circadian rhythms in health and disease. He has been an editorial board member on five distinguished journals including the Journal of Neurochemistry, Experimental Eye Research and Molecular Vision. He was named a fellow of ARVO at the society's 2009 meeting. Iuvone has published more than 150 articles in peer-reviewed literature.